As powerful as hope can be, it is not invulnerable. Fear, intimidation, pessimism, bad luck, and perhaps most of all, doubt, can deter hope and discourage even the most hopeful of people. When everyone else has their own issues to worry about, or when agendas conflict, and when time is never on your side, a person’s hope can be drained. But, it’s then that only the most resolved will fight on, the most determined will succeed, and true growth will occur. This is the theme I discovered in Millennium 2 – Take Me Higher. 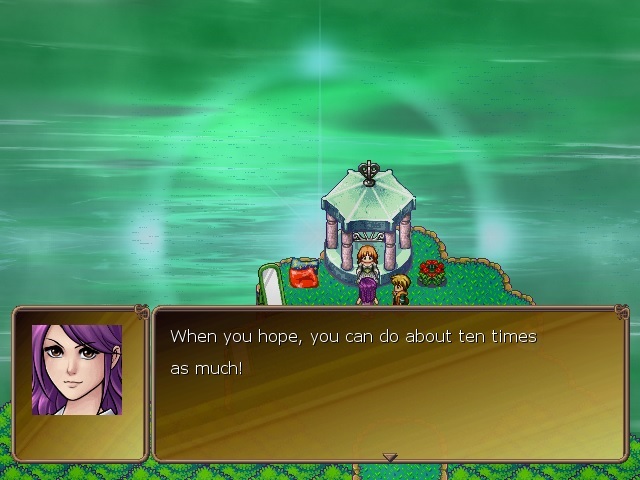 A continuation of the first game that introduced the power of hope, Millennium 2 demonstrates that, while hope may have enemies, it’s not so easily defeated. 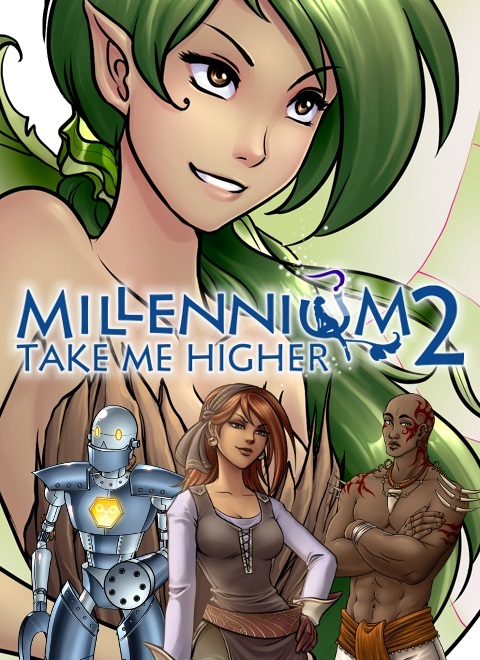 Millennium 2 picks up immediately after Millennium – A New Hope, continuing the story of our heroine, Marine, as she seeks out warriors willing to stand with her against the tyrannical Mystrock Kingdom. Through the Martial Law, anyone with a team of 13 combatants may challenge and remove the current ruler if they are successful in defeating that ruler’s team. Marine’s main goal remains unchanged, in that she is determined to take over in order to save her oppressed people from the upper echelons. While the first game introduces this main plot point, Millennium 2 adds to it in many ways. For one, we see the inclusion of several perspectives, from Marine and her companions, to Dragon’s subordinate, Borgon, and the interference he’s running against Marine. These switches in perspective are great, as they allow us to see both sides of this conflict as their ultimate showdown approaches. I also like some of the subplots that are featured throughout this episode, as one of my complaints with Millennium 1 was the lack of plot depth. These subplots serve to draw emotions out of Marine and her company that we hadn’t yet seen and add strong new dimensions to the tones and moods of the unfolding story. They also serve to enhance and further develop a few characters. While Millennium 1 had more of an upbeat feel, here that tone becomes more realistic, as more heartfelt, impassionate, and sympathetic emotions are able to integrate with the determination and hope themes. It’s wonderfully done and left me wanting even more. As for character development, we see some improvement, but some misses too. As I mentioned, with the addition of subplots and a more diverse range of moods, we see some very satisfying growth for Marine and Benoit. Marine is still the hope filled, action seeking young woman I’m enamored with, but we also start seeing how her positivity and hope are affected by negative circumstances. She’s not invincible and with this we are reminded that she’s still an adolescent. From her dwindling patience with Jezebel’s task, to the outbursts at her companions when things aren’t going right, to her feelings of isolation when she thinks no one understands her feelings, these all fantastically demonstrate that she’s a very real and relatable character. Her bursts of anger conflict with her resolve and her emotions get the better of her more than once, from when she learns of her father’s worsening condition, to her guilt for not staying with him. Everything compounds to the point where Marine ultimately falls into a depression, and the hopelessness she feels when considering how out-of-reach her goal seems to her is genuine and palpable. To see such a strong-willed character on the brink of giving up is such a wonderful contrast that the immersion gained from it is absolutely amazing. 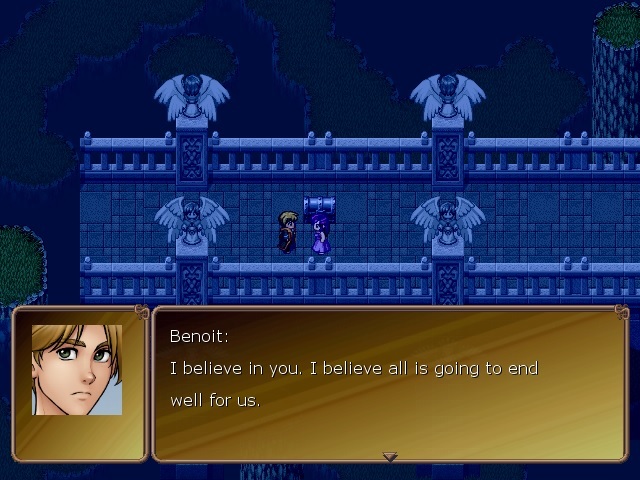 As for Benoit, as he is the antithesis of Marine, it’s he who demonstrates a hope and determination he (and us too) never knew he had. We’ve seen him support Marine up to this point through his actions alone, as his words are usually full of doubt and pessimism. But, we also get to see new growth with him too, renewing my emotional investment in this character. Unfortunately though, I have a few issues concerning the supporting cast. I was hoping Karine and Hirado would receive more depth this time around, but they leave fairly early in the game “to go train” and we don’t see them again. Jeanne, while still serving as the voice of Marine’s inner thoughts, is still as edgy as ever. In fact, she’s even more so, especially towards Benoit, as she never hesitates to insult, dismiss, or cut him down. While this ferociousness conveys the frustration she, and implicitly Marine, are feeling whenever Benoit opens his mouth, I felt it overtook the other qualities of her character. Previously, there was a playfulness and joviality that paired well with Marine’s youthfulness and ambition. Here though, I feel this gets lost with the more aggressive style of verbal abuse. As for new characters, we get three; Jezebel, Dee, and Abu, but again, they don’t get anything near the same level of treatment as Marine. Dee is very one-dimensional. While her personality is pleasant and I enjoy seeing her in cutscenes and conversations, I wish she received more depth and was better utilized. She is very much a side character, which is unfortunate, especially with the hints of jealousy Jeanne shows. Having Dee, another fairy, around clearly makes Jeanne uncomfortable to the point of irritability. I wish this dynamic had been further developed. Then there’s Abu, who could have been employed more tastefully. He’s knowledgeable, capable, and compassionate, but the broken English he speaks paired with his appearance can be considered distasteful. And finally, there’s Jezebel. Now, I actually like Jezebel’s character, as her feistiness and determination remind me of a more hotheaded version of Marine. She also has a touch of pessimism to her too, but she doesn’t let it slow her down, but rather takes a jab or two at whatever’s causing it. However, I did take issue with how she’s integrated into the game, as her subplot so tangentially diverts from the main quest. Jezebel’s own problems take over the last third of the game. While her goals detract from Marine’s, her character isn’t outstanding enough to carry the game, nor do her plot points add anything significant to the story. If she was to serve purely as a hurdle to Marine, I wish that came out more in her personality, rather than her story arc, as it’s then simplified as “too much time spent” and now Marine’s in a rush. Plot-wise, it did work as another back-breaking straw, as it compounds the stress Marine is under, with time running out, only half a team assembled, her mother’s story arc, and her father taking a turn for the worse. It’s just too much focus on a character and her problems, both of which struggle to match the depth and weight of Marine and the main plot. 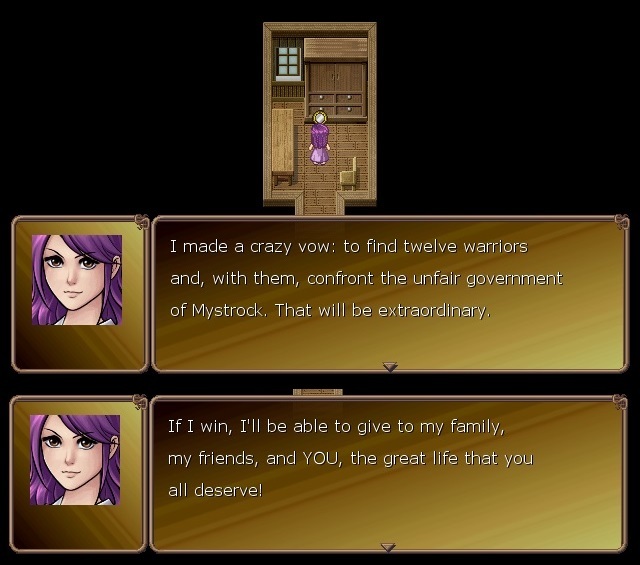 Leaving story and narrative behind, the gameplay of Millennium 2 is nearly identical with the first game. This isn’t a bad thing by any means, as the traditional turn-based combat style is still as solid as ever. Previous options, such as adjusting enemy encounter rates or choosing to make them visible are again present and I appreciate having those options to play in my preferred style. The point-and-click search mechanic also makes a return and if you’ve read my Millennium 1 review, you’ll know this was a source of tremendous stress and aggravation for me. Due to the sheer volume of hidden secrets, the ridiculous accuracy you need with the mouse pointer to reveal a secret, and the fact that not all secrets have a corresponding icon change to indicate that you’ve potentially made a discovery, all detract from the fun the search element provides. Here in Millennium 2, there have been some improvements, but it’s still not optimal. The volume of discoverable secrets is down to a more manageable level, so you’re not constantly stopping to search, which noticeably improves game flow. Also, visual indicators, such as more discernible differences in nature, environment fillers like boxes, barrels, skeletons, etc., and other cues on the map are better utilized, so predicting the presence of secrets is more intuitive. My biggest issue, however, is with the Secret Rooms that yield stat boosting Myst Orbs and other helpful items for the harder game modes. Unlike Millennium 1, in which there were some icon changes that show the presence of a Secret Room, here, there are none at all. This means you are forced to rely on a guide to find them all. You may randomly stumble on a few of them, but with 32 Secret Rooms, it’s near impossible to find them all without a guide, as some of these rooms are ridiculously hidden. Having said that, the Secret Rooms are again not required to finish the game, so if they become too much of a stress point, simply move on and enjoy the rest of the game. Finally, save transfer allows you to transfer items, records, and other achievements from Millennium 1 to Millennium 2. Levels gained and any extra boosts to stats from completed quests and Myst Orbs are not transferred. Your characters start Millennium 2 at level 20 automatically, but you keep most of the skills learned as well. While I was a bit sad having lost all the extra stat boosts from orbs and Secret Rooms, I am glad that this evens things out for players who were less successful finding all the secrets. Also, this further assures us that it’s perfectly okay if you don’t find every hidden thing, as transferring data or starting a fresh file on Millennium 3 will also adjust levels and stats, as they are here. Just like the previous game, Millennium 2 features fantastic visual and musical aesthetics and continues to be a high point for this series so far. From the portrait work to the sprites and tilesets, the visuals bring vividness and charm to this fantasy world. Despite the limited character development from the narrative, the characters become far more lively and appealing with their portraits. The cocky pose Jezebel wears matches her attitude and sharp opinions. Marine receives a new portrait when she learns a new fighting style, visually demonstrating her growth. Although some visual resources are reused, it doesn’t take away from the appeal, in fact I appreciate seeing them, as it felt friendly and comfortable, like coming back to familiar friends or family. The audio, too, has this welcoming appeal, as many of the tracks from the first game are incorporated here. And, this most definitely does not make them any less wonderful. Plus, the new tracks are equally impressive and charming, pairing perfectly with their environments. My only complaint is that I wish we had received a few more new tracks, as I am thoroughly impressed with the composer. Visuals and audio bring life, familiarity, and charm and remarkably help tie the two games together. Millennium 2 unquestionably saw many improvements over its predecessor. Subplots to give the story more weight, cutscenes that are always a pleasure to view, some fixes to the search mechanic, and the same amazing aesthetic quality, Millennium 2 is an absolute pleasure to experience. While not perfect, the series is most certainly heading in the right direction and, personally, I am looking forward to playing Millennium 3.